When we bought our current house, one of the (many) things on our to-do list was to paint the front door. That plain white door wasn’t doing anything special for our curb appeal. I liked the door in other ways: I liked the little windows at the top and I liked the raised panels. But I was not a fan of the plain white color. I knew that was an easy fix. So a few weekends ago (yes, this post is a bit late! too many other projects! 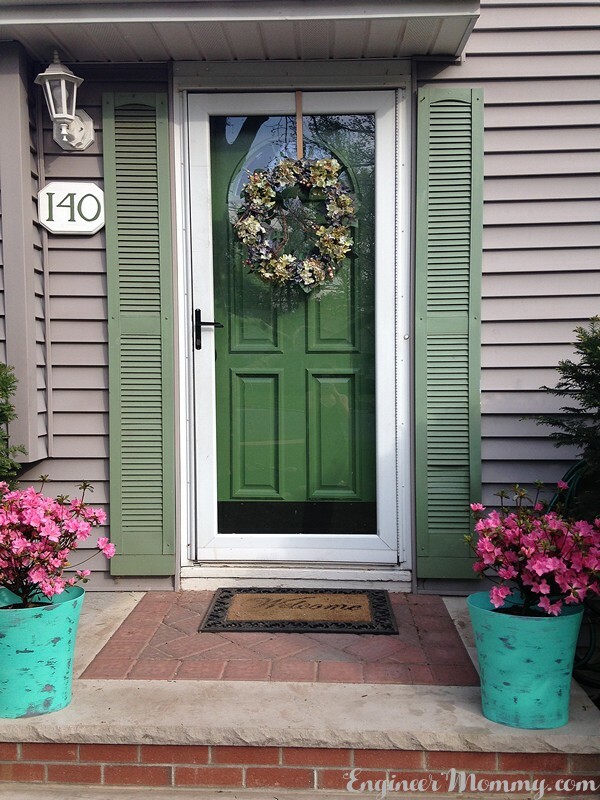 ), we tackled a makeover of the front door. 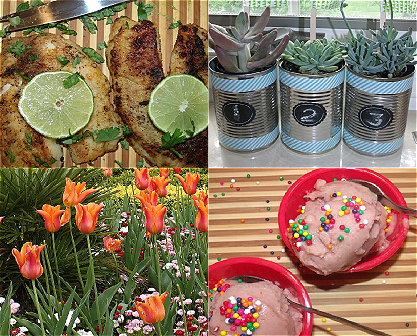 There’s something about Spring that really makes me want to focus on revamping curb appeal. 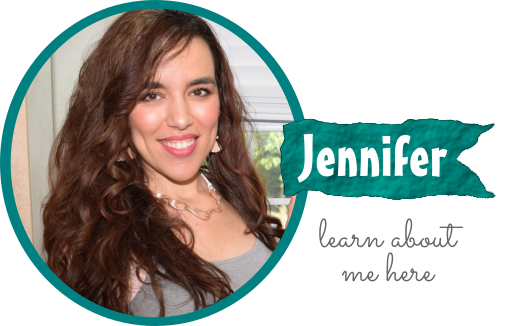 So today, I’m sharing with you some tips I learned after painting our own front door. 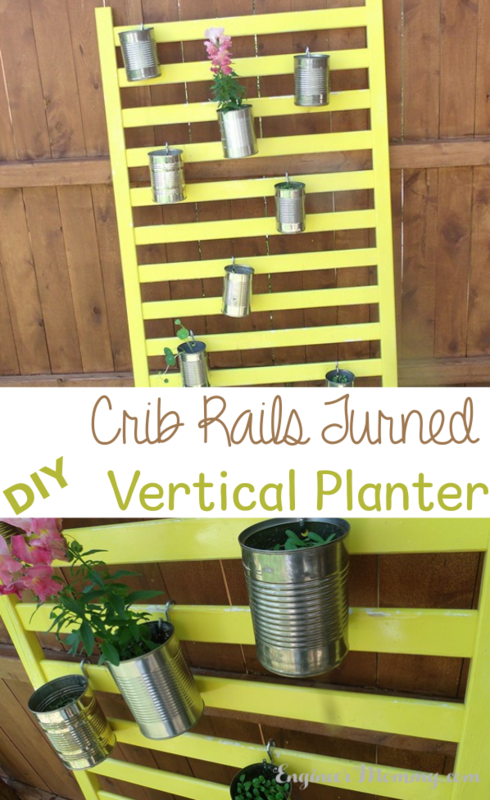 This is an easy project that can be completed in a few afternoons. 1. Remove all hardware. Take off knobs, handles, door knockers and any other items attached to the door. 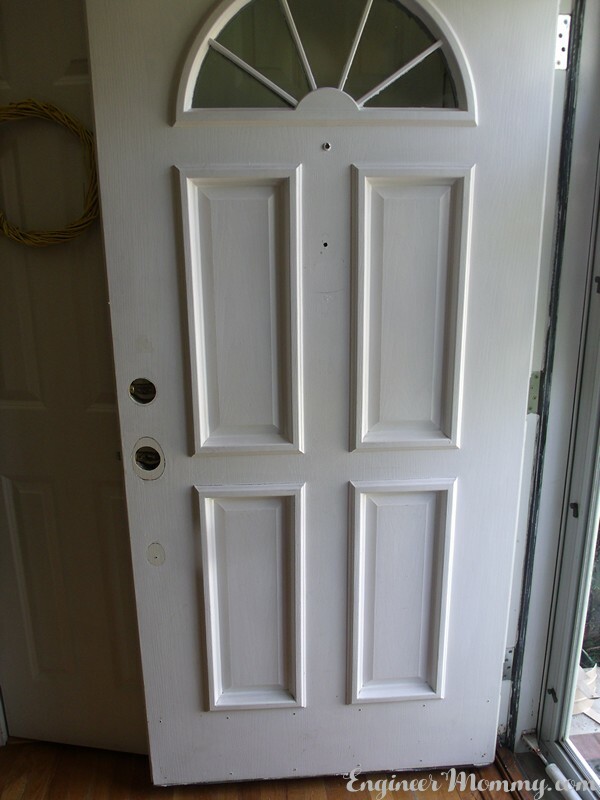 Here’s what our door looked like after we removed the hardware. (If you want to avoid drips, take the door off the hinges and lay it flat on the ground. I didn’t have the patience for that extra step, and it still worked out fine.) You can also use one of these little gadgets to simplify the painting process- it’s really useful for holding up the project while you paint!! 2. Remove any surface dirt of debris. You don’t want to paint on top of dirt. Take some extra time to scrub your door down and remove any oils, dust, and random dirt that’s stuck to the door. A light sanding at this time is also a good idea. However, if your home was built before 1979, beware that the paint could contain lead. Test for lead paint before embarking on any home improvement project. 3. Fill any holes in the door and then sand. Although this step may seem unnecessary, it will actually be worthwhile in the end. 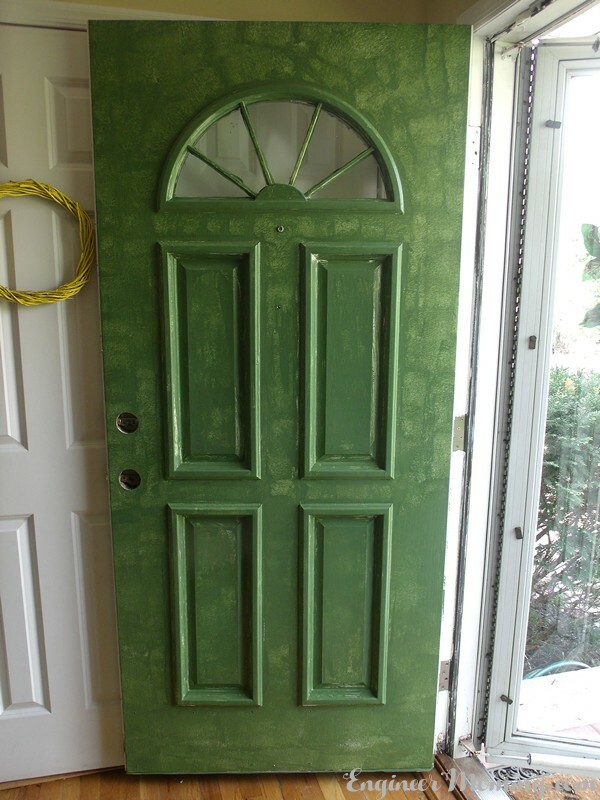 Once you get a fresh, new coat of paint on the door, any imperfections will be highlighted. Make sure the surface of the door is nice and smooth and level before continuing. Luckily, my door didn’t have any holes so I marched right along. 4. Prime and paint. Next, it’s time to prime. 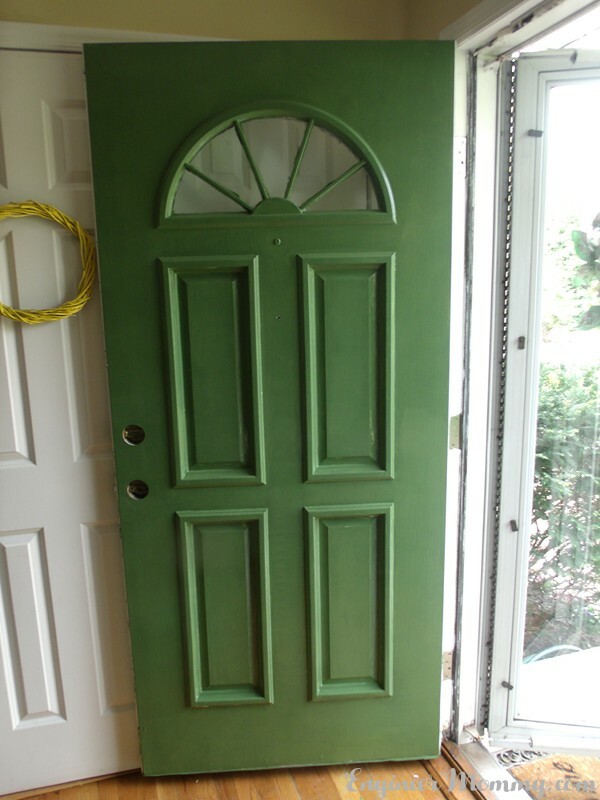 Be sure to use a good primer intended for outdoor use (exterior door) so the new paint will have something to adhere to. I really like this primer! 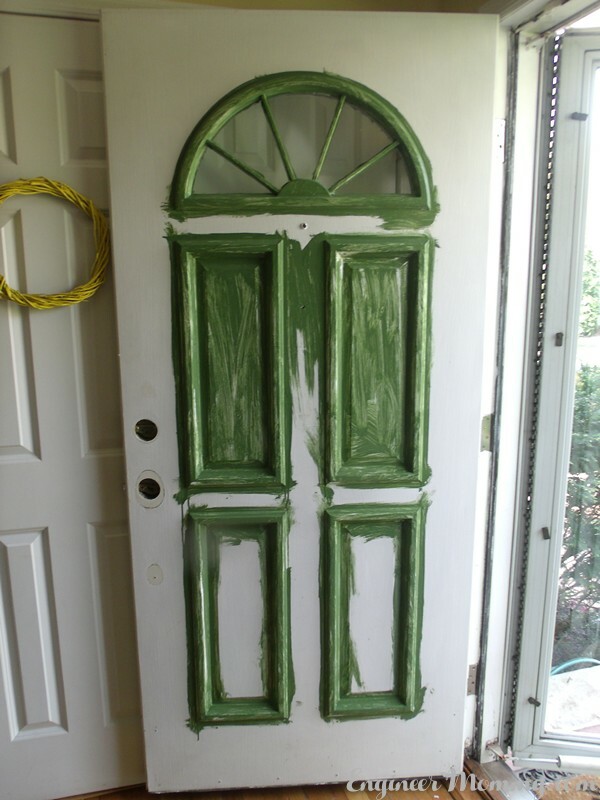 After priming, start painting the door. Sand between all coats to make the finish smooth. First, I used a high-quality brush (this is my favorite one) to cut-in along the raised panels of the door. Then, I used a mini high-density foam roller to finish the paint job. My door needed three coats (I probably could have gotten away with just two coats, but I wanted to give it that one extra coat). Here is what my door looked like after the first coat. Not pretty, I know! 🙂 Here it is after the second coat. This was a really fun project that I think has really boosted our curb appeal. And it was an easy project, where the hardest part was just waiting for the paint to dry! Your door looks absolutely fabulous! You did a great job! 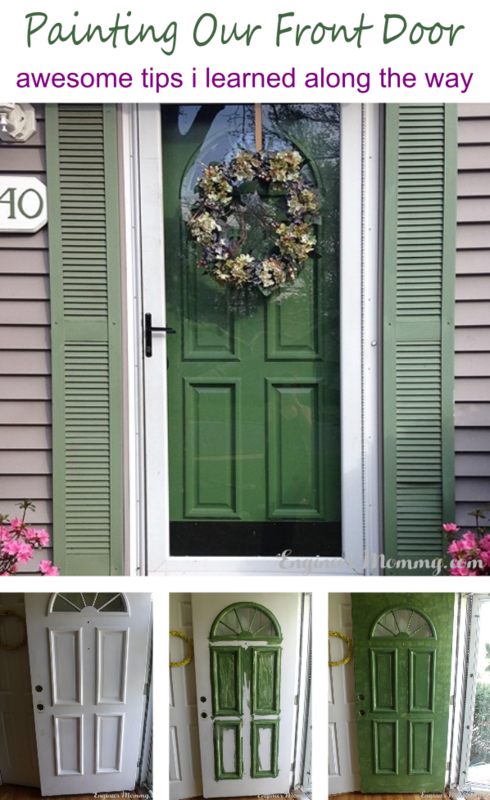 Wow, I adore what you did to your door as well as your entire front porch. The bricks inlay on your porch, did you DIY it, and if so, do you have tutorial on it? super great job!! What kind of paint did you use? And what color? Really nice! Hi Fran! Thanks for your comment. The paint color is “Cape Moss” from BEHR. Hope that helps! Painting is always fun. I am glad that you learn new things.